Windows 7, Vista andWindows Server 2008 (32bit only) has a God mode feature. 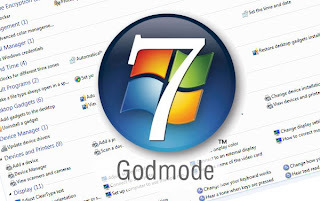 God mode allows you to access all settings without having to browse, click or jump between different dialog windows. 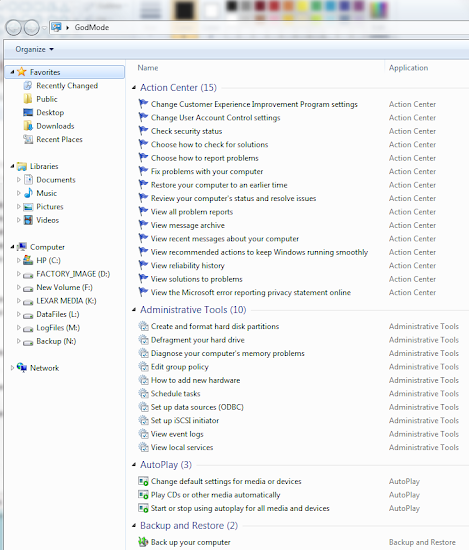 That is it provides a single place where you can virtually access every setting of Windows operating system. 1. Create a new Folder by right clicking on the desktop. 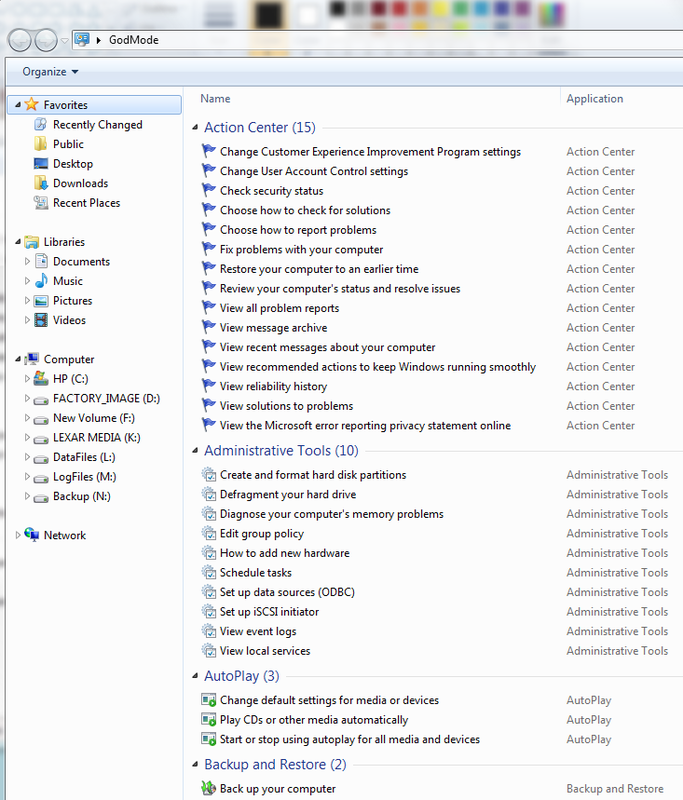 Double click it to open window, you can now see very settings of your operating system. By the way there is much more in this folder than in the screenshot, in the screenshot you only see 4 sections, in the folder there are 46 different ones. Warning: God Mode works only in 32 bit versions Windows 7, Vista and Windows Server 2008 operating systems, does not works in 64 bit OSs.